Happy World Sleep Day! 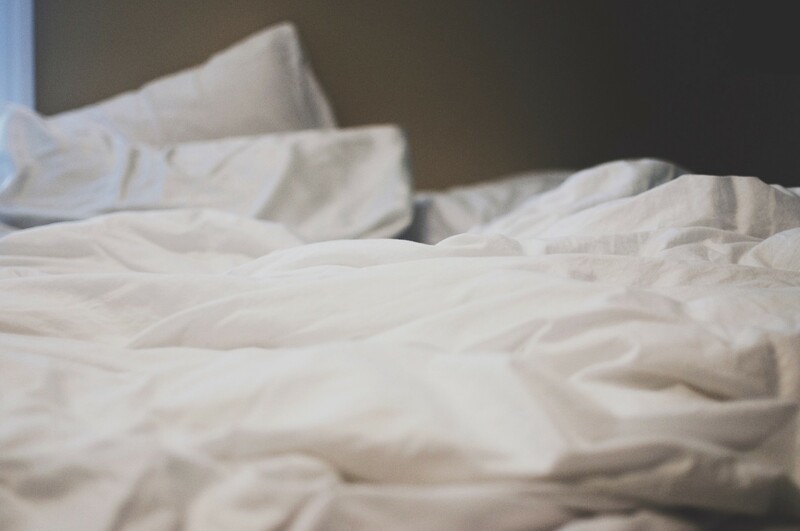 When I decided to impose an 18-month kick up the backside, to get healthy and conquer my ‘stresshead’ I decided to start by addressing my inability to get a decent night’s sleep. I decided to start the challenge this month, March, not knowing that it is designated ‘Sleep Awareness Month’; the universe is kind of cool in how it doles out happy coincidences when you’re not looking! I’ve invested in black out curtains and they really do make a difference. They help to create a lovely ambience by implying a cocoon of warmth and security, deliberately keeping the room darker than it would naturally be. Also, by reducing the amount of daylight that would otherwise stream into the room before you’re ready for it means that you are likely to waken more naturally, in line with your body’s internal clock. I’m a ‘needs a lot of sleep’ type of gal. In real terms, that equates to 7–8 hours of sleeping but easily a half hour either side to fall asleep/wake up properly. My alarm is set for 06:30 during the weekdays so I started my challenge with a set bedtime of 21:30, lights out as I’m somewhere in the ‘needing to go to bed 9–10 hours before getting up again’ camp. If you’re not sure what bedtime works for you, then spend a couple of weeks experimenting — your morning self will thank you for it! It’s not just about how dark the room is but also how you feel when you are in it. Is your bedroom a place you want to be; does it promote calm and balance? Do the colors stimulate you or relax you? Is your bedding cosy and inviting? As with many things in life, the whole is greater than the sum of its parts; each small element builds to cumulatively create a holistic experience that can be positive or negative so it’s worth getting the details right. I can’t recommend this highly enough. I’ve no idea whether there is any science behind it but I do know that I seem to sleep better if I rub my feet seconds before switching the light out. There’s no fancy technique involved or expensive potions — I tend to use cheap face cream and focus on the balls and heels of my feet and my feet always ‘sing’ to me in return. I think it’s their way of saying thank you. Maybe yours want to sing too? What you do before you go to bed is probably the single-biggest factor in the quality of sleep you experience. It’s important to note the oft-repeated advice of not staring at a computer screen or tv immediately before going to bed as well as not stuffing your bedroom full of electronic devices or anything emitting ‘blue light’. But just as important as what not to do, is what to do. Throughout my challenge, I’m ‘test-driving’ so obvious things but they are things I haven’t done in a long time, at least, not with any conviction or conscious thought. In case you’re wondering, the four things are reading, listening to music, coloring-in and journaling. My hunch is that a combination of coloring-in whilst listening to music will win but time will tell. And those are just the four that appeal to me — there are plenty of other things to choose from such as bedtime drinks or essential oils in the bath or even just looking up at the stars. What do you typically do before you go to bed and is it something that helps promote good sleep or could it be keeping you from it? There is no one-size-fits-all solution; what works for one person may not be a silver bullet for another. The trick is to constantly test and tweak, keeping what works and changing what doesn’t. Our sleep patterns change in accordance with how our lives change and it’s ok for our bedtime routine to reflect this. Paying attention to what works for our overall wellbeing is one of the best and healthiest things we can do — discovering new music, books, drinks and smells along the way just makes it even more of a pleasure to do so.